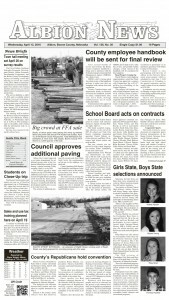 Special events were held throughout “Big Give Week” in Boone County, Nov. 27 through Dec. 2. More than 500 people attended performances of “Hee Flaw 2.0” at the Boone Central performance gym on Monday and Tuesday, Nov. 27-28. 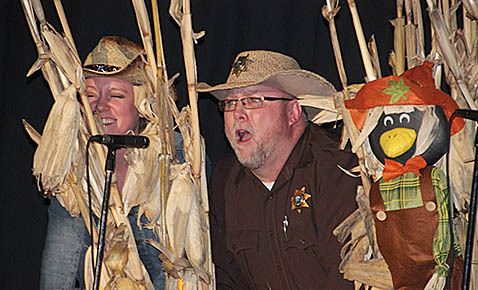 The production featured a cast of 29 area performers with skits and songs based on the “Hee Haw” television variety show. Albion Library hosted a special display, “Trip Through Nebraska,” featuring books by Nebraska authors throughout the week. On Wednesday, Nov. 29, a soup and sandwich upper was held at the St. Edward Community Center, and the Rae Valley Market in Petersburg hosted a Big Give Scavenger Hunt. The Christmas Parade of Lights was held in downtown Albion Thursday evening, followed by a chili supper and opportunities for children to visit with Santa Claus at the Veterans Club. A holiday movie was shown Thursday evening at Gateway Theatre. 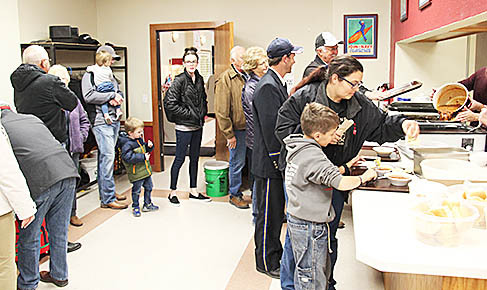 Friday’s events began with a waffle breakfast at GSS Albion Wolf Home, followed by a soup and sandwich luncheon at Boone County Health Center. In the afternoon, a “Holiday Nostalgia” music program was held at the Boone County Museum. Final event on Friday evening was a Big Give Social at the Albion Country Club. The final event on Saturday was a performance by “The String Beans,” a popular children’s group on Saturday, Dec. 2. Area musicians featured during the Friday afternoon program at the Boone County Museum were, l.-r., Jeff Gerhart, Mary Channer Paul, Molly McGill, Jim Jarosz, Verne Buhl, Gene Wissenberg and Pat Boilesen. Not pictured is Rick Anderson, a member of the Paradise group.